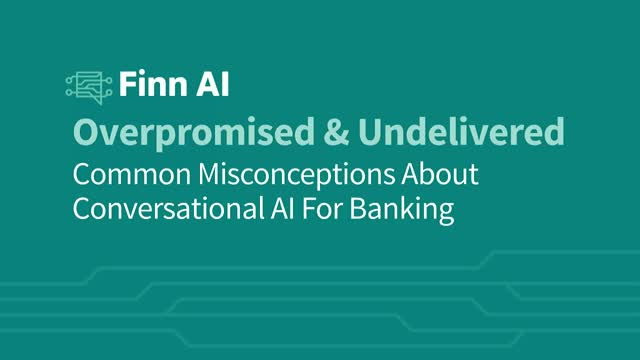 Join Dan Latimore, Senior VP at Celent and Ben Terrill, VP of Customer Success at Finn AI, on Tuesday October 9th to learn the truth behind conversational AI for banking. These experts will examine the most common misconceptions that could tank your bot deployment. Avoid these pitfalls and write your own AI success story.